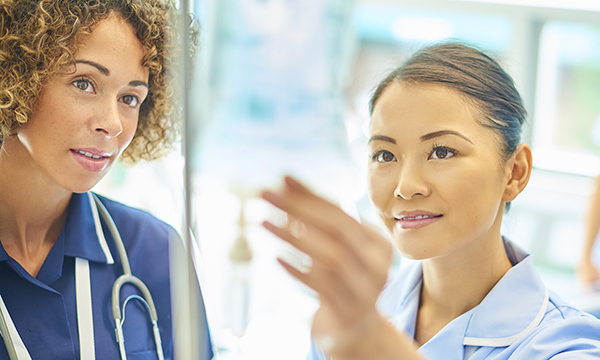 How does nursing attract and retain strong leaders? Ward managers should be excluded from staff numbers so they are free to take on supervisory roles. One of the many challenges faced by nurses and midwives is ensuring that the expert voice of their profession is heard at every level of health and social care development and decision making. This is especially important to ward managers and the leaders of community nurse and midwife teams, who must balance managing demand for resources with supporting staff and demonstrating person-centred care. How do we attract and retain strong leaders under such circumstances? In an evidence and practice article in October’s Nursing Management, Regan and Shillitoe explore the importance of strong leadership at ward level. They ask specifically why trusts have failed to implement the recommendation from the 2012 Department of Health strategy document Compassion in Practice that ward managers are excluded from staff numbers so they are free to take on supervisory roles. The authors suggest that, in promoting leadership among people from black or minority ethnic (BME) backgrounds, the profession has lost sight of the need to implement these supervisory roles. However, NHS Digital figures obtained by RCNi show that as few as 2% of NHS senior nurse leaders in England are from BME backgrounds compared with nearly one quarter of nurses working on wards. This disparity must be addressed urgently by those of us in leadership roles. This is not an ‘either/or’ argument. To promote and develop strong, resilient leaders, we need to encourage and support staff from BME backgrounds to apply for senior positions, while ensuring that ward managers and team leaders are free to work in supervisory roles. This will ensure that senior staff maintain a credible, clinically competent and visible presence in supporting staff and promoting patient care.